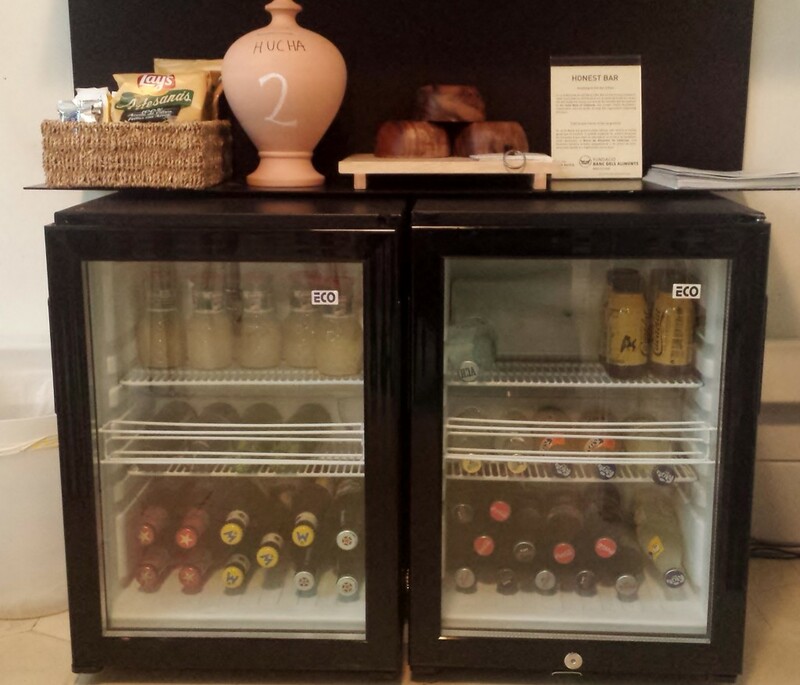 From Ca la Maria boutique hotel, and with the help of all our guests, we collaborate with the Barcelona Food Bank. When we decided to put a Honest Bar in our bed and breakfast we knew we wanted it to be an easy, quick and kind of being able to take a few snacks while you are in the terrace or in the middle of the afternoon resting after a long walk through Barcelona or relaxing before going to sleep or if you have come to see us after a day’s work in one of the offices nearby. We wanted that our guests and visitors could get anything, whenever they wanted it and that it woulb be as honest as possible. They donate what they want or what think they take is worth and we give this donation to the Food Bank of Barcelona. 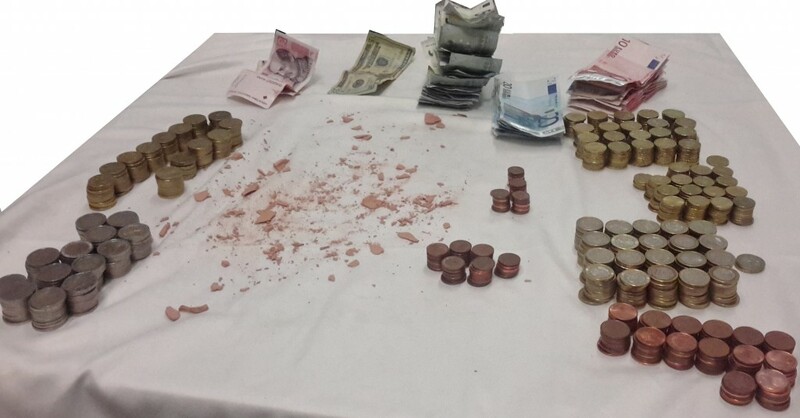 This donation is made in a clay piggy bank, which must be broken to see its contents! It is exciting not knowing what is inside and just being able to discover the content at the end, when it is already full! We think this is a nice way to help those people in our city and surroundings who needs it the most. The Food Bank aims to fight hunger here, it prevents that unmarketable but still good food supplies are destroyed and finally, make them reach those people most in need of our immediate surroundings. 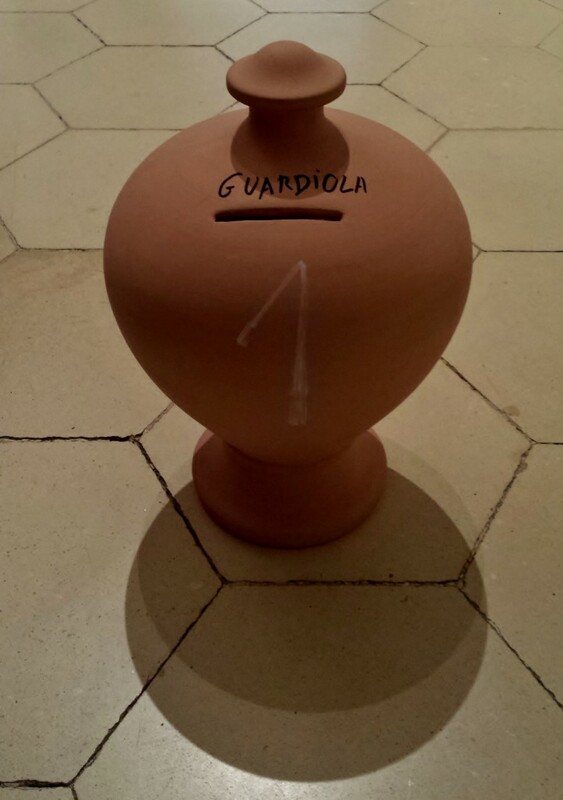 The honest bar of our Boutique hotel has already filled the first piggy bank (called Guardiola) and we have broken it to make the first donation. 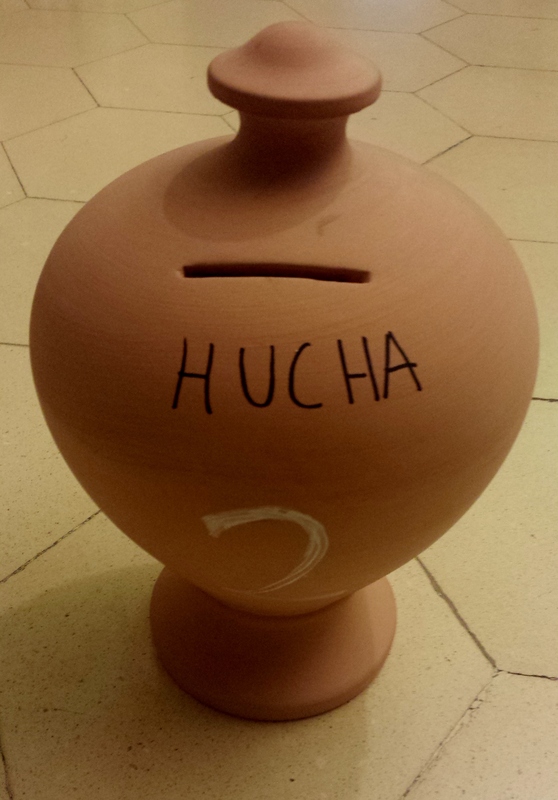 During this year that the piggy bank it has been filling up we have raised a bit over 1000 € with the help of all our guests! Truth is that all this bills and coind together look very very good! Now for the second one. This one is called Hucha! Thanks a lot from the Ca la Maria team!